Dieses Haus zum Spielen für Kinder ab einem Jahr lässt sich mühelos auf- und abbauen, kreativ gestalten und, wird es nicht gebraucht, an die Wand hängen. 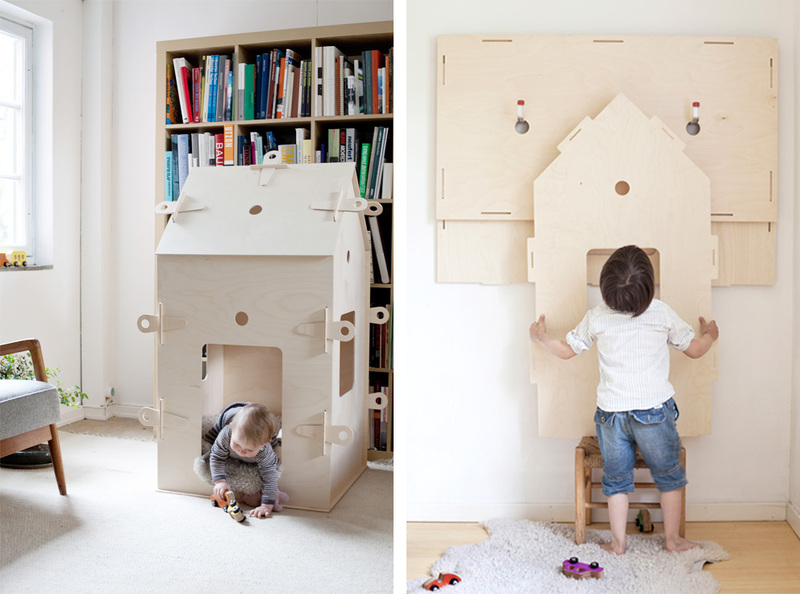 Kids love houses, miniature ones that is. But let’s be honest, those carton or plastic play areas often take up more space in the apartment than the parents really want. And as regards design and colors, they often leave the kids little scope for the imagination. 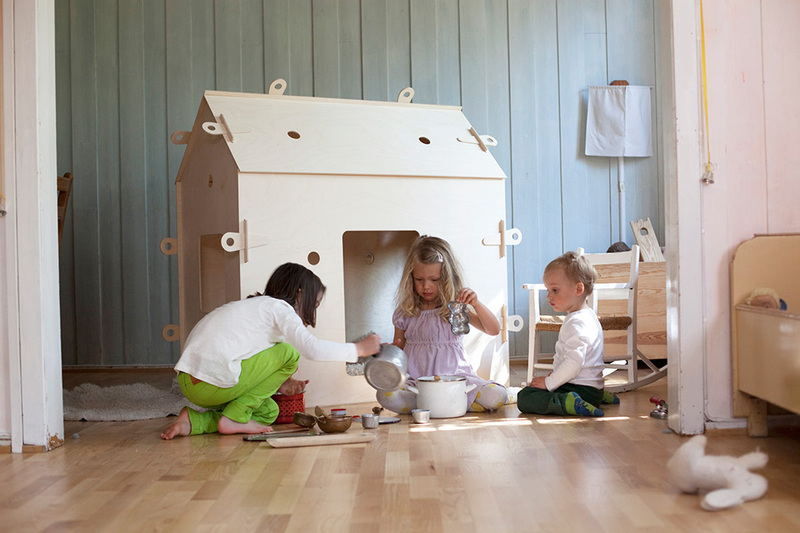 By contrast, Norwegian designers Christine Petersen and Anne F. Linnerud, who founded “Studio 17” in Oslo in 2013, have come up with simple and practically designed play houses (available in two sizes) that parents and children alike find a joy.